I received an invitation to an awesome show last week. Unfortunately, while the show was happening, I was standing in the middle of a casino in Reno coughing my head off to the dry, filthy indoor ventilations system while talking to college students about the label I work for. 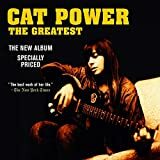 So, sadly, I couldn’t make the Cat Power show at Young Avenue Deli on Wednesday night. Fortunately for you, Rory from My Best Friends Are Blues made it in my place and here’s what he had to say about it. Sound like it was pretty good, sorry I can’t be everywhere. Up until I discovered The Greatest, Iâ€™d been looking; and looking vainly let it be noted, for a 3 A.M. voice to caress me in the way Hope Sandovalâ€™s does; a caress born in the evening in bars and married to the shimmer of red, red wine. I stood there lightly, with my hands jabbed into my pockets. The only thing I could think of while I watched Chan Marshall performing was how much more I wished I actually hurt…how much better it would feel, were I perched high upon some shredded bar stool, silky smoke from my craved cigarette smiling, and that voice in the background, in the background but somehow above all those clacks and clatters of glasses, a voice high above yet so attuned to those saddened patron soliloquies. And I donâ€™t even smoke. So many years of sighs were pressed into that voice. Every note seemed alive; alive with an immutable childlike veracity. She danced on the stage like a little girl with nowhere else to be. Marshall is the kind performer youâ€™d probably expect she is, whatever that means to you. I saw an artist so exceptionally sensitive as to habitually look back at her band and clap along with the audience after every number; an artist painfully aware of the attention that her talent garnered but not nearly pompous enough to allow herself to soak even a second of it in. As a sort of explanation for the Marshall-aided clapping, much ado has been made here in Memphis regarding the collective of Memphis-based musicians Marshall adopted to record and tour on The Greatest. And while certainly each member of the twelve person outfit is immensely talented, each adding a layer of professional confidence to the writhingly arcane Marshall, I got the feeling that if any moment the members (excluding the magnificent pianist Rick Steff) where to lay down their instruments and walk offstage, the songs would elevate themselves to a place even more immediate and emotionally inviting. Too true, after enveloping the audience in the smoky elegance of the title track, “The Greatest”, a count-off from an excited percussionist abruptly curtailed my relaxed, dreamy situation. Slamming through what on record was of a medium forte dynamic at best, the percussionist ushered the members into the outstanding â€œLiving Proof.â€ Almost immediately, the playful interchange of Steffâ€™s piano and Marshallâ€™s guitar on record was swept away in a wash of cymbal and the dull clang of a snare drum. Perhaps as a sign of something amiss, I could see the strain in the visages of both Steff and Marshall as they tried to retain the front-porch feel of the song despite having to elevate their volumes to compete with the percussion. The voluminous effects of percussion elsewhere on stage were considerably more severe. Stellar axmen Teenie Hodges and Doug Easley were seen, and they did seem excited. But the best one could do amidst the shards of cymbal and stick was admire how fluidly their fingers streamed as they wove quilts of sound, sound which on record added a lantern-esque shimmer to that darkened, aforementioned, lauded and loved voice. For us here tonight though, the joyful looks on both their faces would (and sort of did) have to suffice enough. The highlight of show for me was unquestionably the duet between Hodges and Marshall on the stunningly beautiful cut, â€œWhere is My Love.â€ The squeamishness of Marshall was rivaled only by that of a vocalized Hodges, the result being an extremely endearing and terrifically poignant ballad with Hodgesâ€™ broken and weary tenor adding an effect which Marshall alone could never hope to achieve. Indeed after bearing witness to such a beauty; such an emotion as only a worn southern man and jilted southern girl are capable, ladies and gentlemen, it is intensely advised that you attend to Cat Power and her Memphis Rhythm Band on this tour.